A lot going on right now for me that has kept my hands off of the camera and away from the blog for a couple of weeks, but this shot is from my last outing in mid-July. I headed down to Pillar Point Harbor hoping to find shorebirds in summer colors. 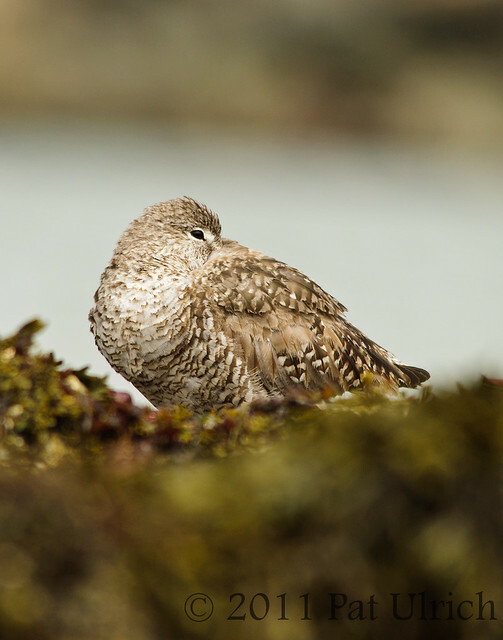 There were only a few sandpipers around that never stayed in front of my lens for long, but I did get to spend some quality time lying in the harbor sediments photographing a group of 15-20 willets as they rested and preened on an exposed rock outcropping. Some birds were already in their plain basic plumage, and a few were quite striking in their breeding colors -- and this particular bird was somewhere in between. More photographs of these charismatic shorebirds in my willets gallery. 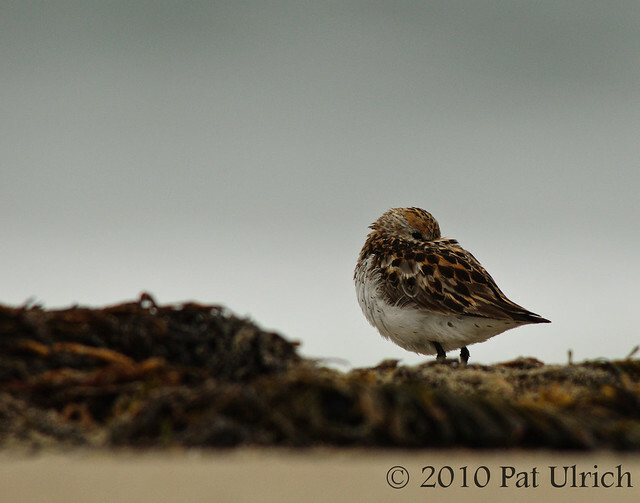 From an overcast morning in July 2010, a western sandpiper rests on Limantour Beach in Point Reyes National Seashore. This is an exciting time of the year when the shorebirds return from their breeding grounds still wearing their bright summer colors. I was out on this beach last weekend and didn't see many birds, but hopefully I'll have a chance to get down in the sand with them soon. 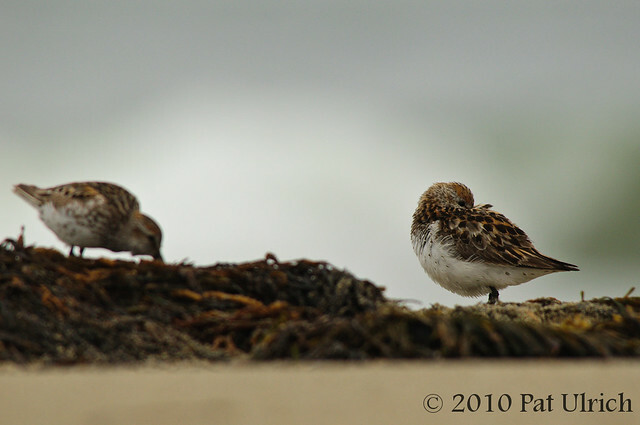 View more images of peeps in my Sandpipers Gallery. 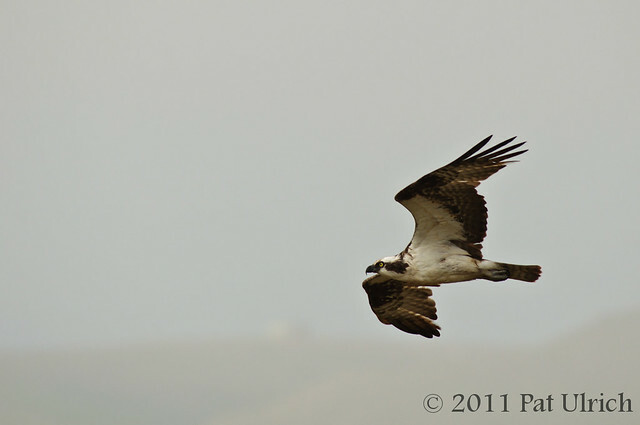 I had this unexpected encounter with an osprey on a hike a few weeks ago on Tomales Point in Point Reyes National Seashore. My goal for the trip was to photograph the tule elk in velvet antlers, and as I dropped into a wildflower-covered valley I started photographing some sparrows as they hopped around on the lupine. 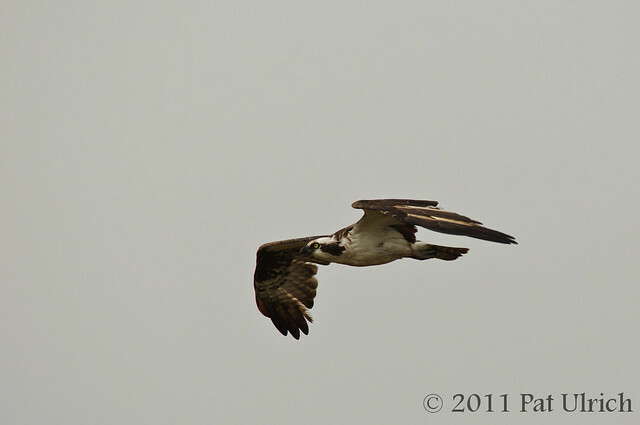 Then at one moment I happened to look up and saw this osprey go cruising by at a low altitude. I was already working on my tripod at full height, so I was able to pan with the bird fairly successfully, and managed to snap off a few sharp frames as it shot by. View more of my birds of prey photos. Submitted to the World Bird Wednesday blog meme -- Follow the link to check out this week's posts. Streams of warm afternoon sunlight filter through the high canopy of coast redwoods, the tallest tree species in the world. This image was taken in Muir Woods National Monument, Marin County, California. 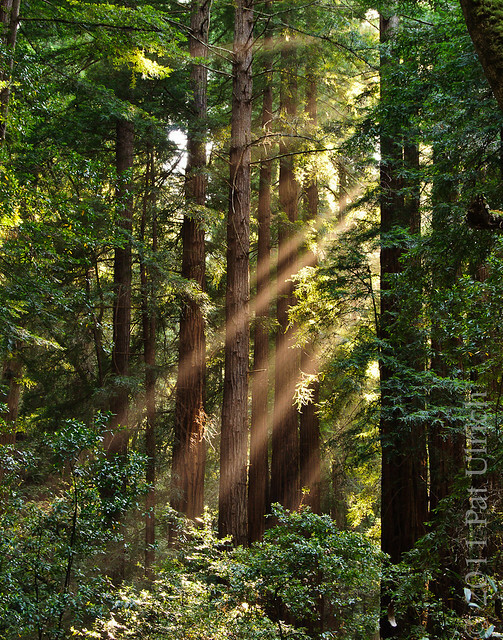 View more images of these amazing trees in my Redwood Forest Gallery. 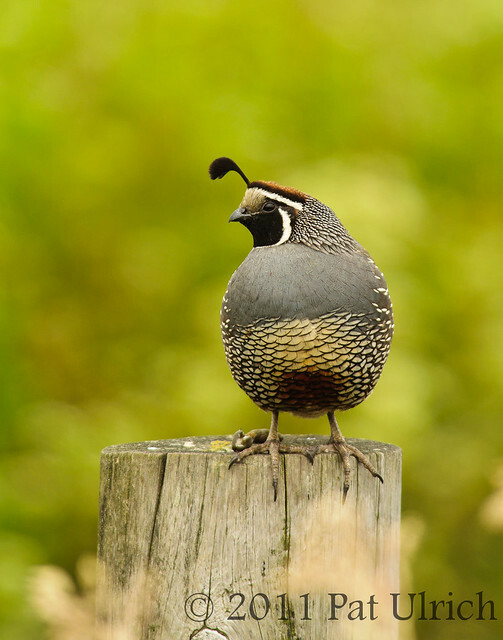 Another day, another quail posing on a fencepost in Point Reyes National Seashore. I've had great luck with quail this year, often finding many different individuals in nice locations on the same trip. In fact, there have been a few trips I've taken, that quail are basically the only subjects I've seen. But I won't complain about that, since they're one of my favorite birds to photograph. I drove by this one on Pierce Point Road on my way to the Tule Elk Reserve, and he had a nice setting of blooming plants in front and behind him. 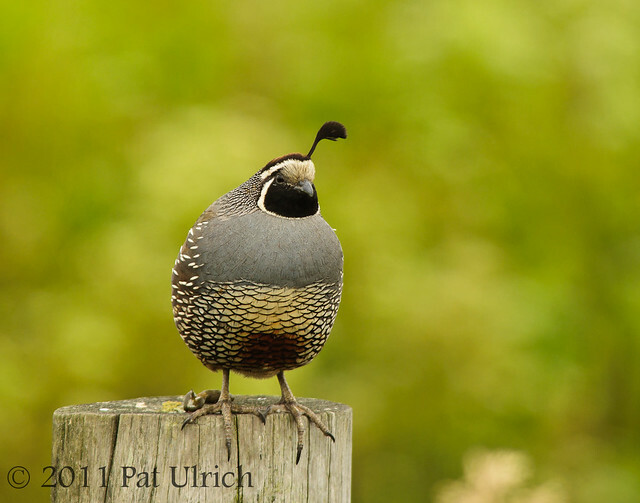 View more photos of these charismatic birds in my Quail Gallery.